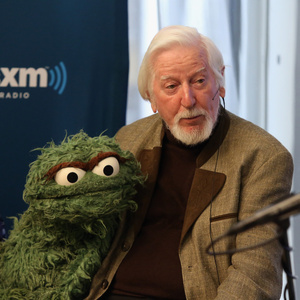 How much is Caroll Spinney Worth? Caroll Spinney net worth and salary: Caroll Spinney is an American puppeteer and cartoonist who has a net worth of $8 million. Caroll Spinney was born in Waltham, Massachusetts in December 1933. He is best known for playing the characters Big Bird and Oscar the Grouch on the television series Sesame Street. Spinney started painting and drawing as a child and became interested in puppeteering after attending Punch and Judy shows. He met Jim Henson at a puppeteering festival in 1962 and he joined Sesame Street for its inaugural season in 1969. At one point he almost left the show because he was not getting paid enough. Spinney won a Grammy Award in 1971 for Best Recording for Children for Sesame Street. He also won a News & Documentary Emmy Award for Sesame Street in 1974. Spinney has five Daytime Emmy Awards for Sesame Street including a Lifetime Achievement Award in 2006. In 1994 he received a star on the Hollywood Walk of Fame at 7021 Hollywood Blvd.